Using the default theme. Clever eh? Steve’s an uncle! 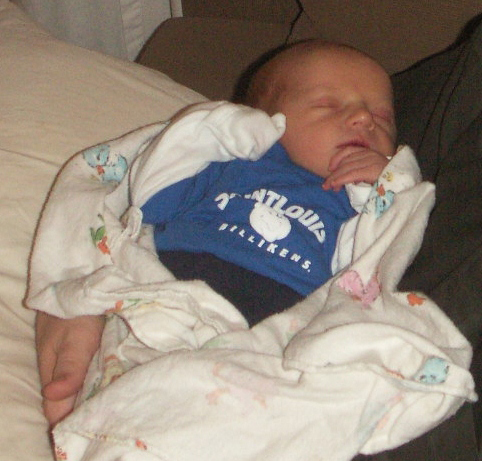 My nephew was born on January 12th, 2012. 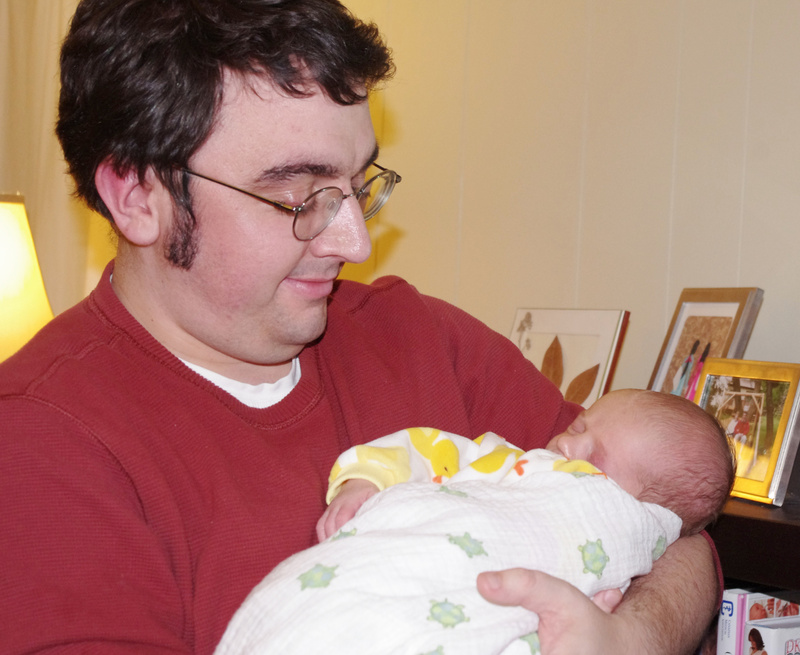 Today is his two week birthday, and I will proudly display photos of my little buddy Alex Rinehart. 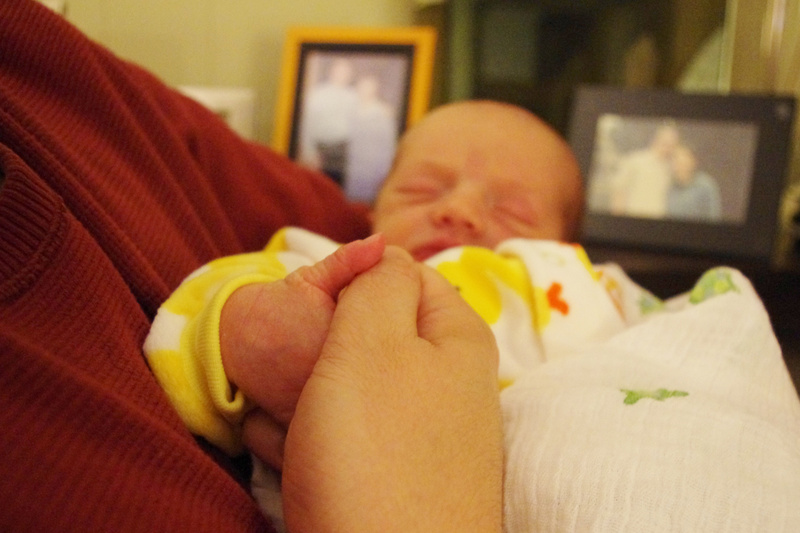 Last week, I went to Milwaukee to meet my nephew. He was very appropriately dressed. I got to spend all day with him on Thursday and Friday. My sister characterized her son well: He is always in a state of waking up on a Saturday morning. Karen and the baby are doing well. The new grandmother loves holding Alex. This baby is well photographed. My sister had the neat idea to take pictures of Alex with common objects. 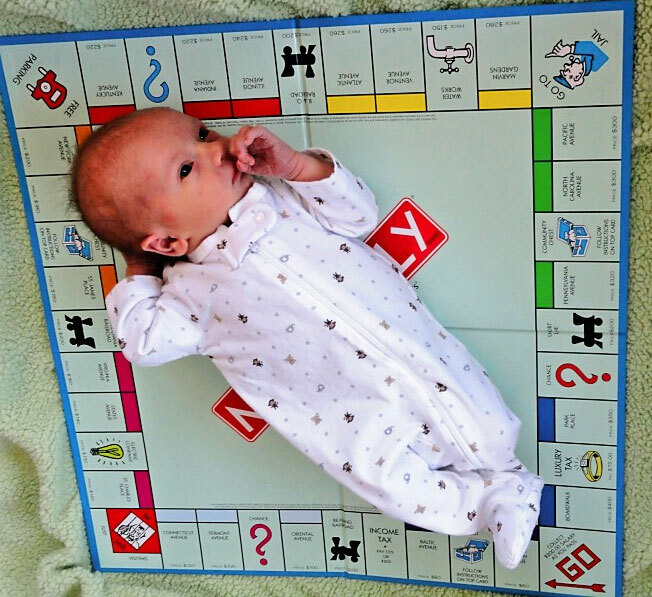 Here he is thinking about whether to pay the 10% or $200 on Income Tax. 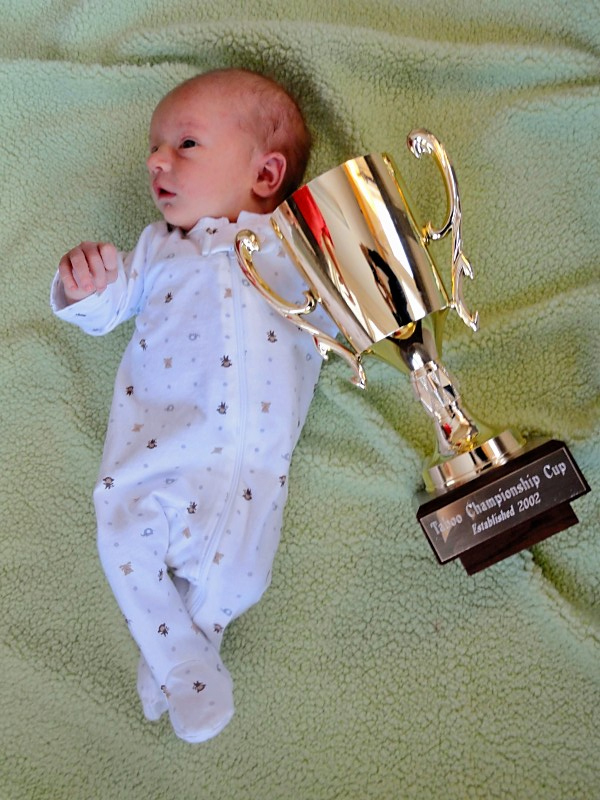 And here is the little guy dreaming of the day he can compete for the Taboo Championship cup and win the right to be served pie by the Flowers women. He already has the competitive spirit. I challenged him to a thumb war, and he won! It was great to meet my nephew, and I can’t wait until I see him next. This entry was posted on Friday, January 27th, 2012 at 3:19 am	and is filed under Personal Story. You can follow any responses to this entry through the RSS 2.0 feed. You can leave a response, or trackback from your own site. Great photos! I must say that we “stole” the idea of taking his picture next to certain objects from our cousins on the other side, Chris and Mary Beth Geiser. The thumb war photo is PRICELESS.